Shares in Chinese telecoms equipment maker ZTE surged more than 20 percent in Hong Kong on Thursday after the company moved a step closer to having a painful US purchase ban lifted. However, as a favour to Chinese President Xi Jinping, US President Donald Trump ordered the Commerce Department to ease the penalties and replace it with an order to pay a $1 billion fine and put $400 million in an escrow account to cover any future penalties for violations. The news sent shares in the firm soaring 22.08 percent in Hong Kong to HK$13.60 by the break. Still, it is sharply down from the HK$25.60 it was at before trading was suspended after the sanctions were announced in April. 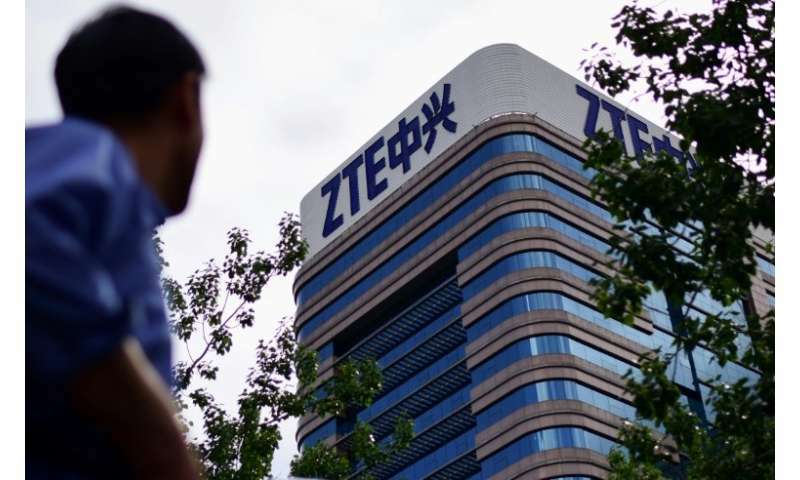 ZTE was pushed to the brink by the initial penalty, which came after US officials said it had failed to take action against staff who were responsible for violating trade sanctions against Iran and North Korea. It was fined $1.2 billion last year for those violations. Trump's decision to step in was seen as an olive branch by the president as trade war tensions started to mount, making it a key element in the spat between Washington and Beijing. However, despite the agreement US lawmakers are working to reinstate the ban, accusing Trump rewarding a company that has repeatedly broken US law and engaged in espionage.